Marsh, James H. and Tabitha Marshall. "Canada at the 1952 Olympic Winter Games". The Canadian Encyclopedia, 01 June 2018, Historica Canada. https://www.thecanadianencyclopedia.ca/en/article/canada-at-the-1952-olympic-winter-games. Accessed 24 April 2019. The 1952 Olympic Winter Games were held in Oslo, Norway from 14 to 25 February 1952. Canada sent 39 athletes (31 men, 8 women) and tied with Italy for eighth in the overall medal count with one gold and one bronze medal. 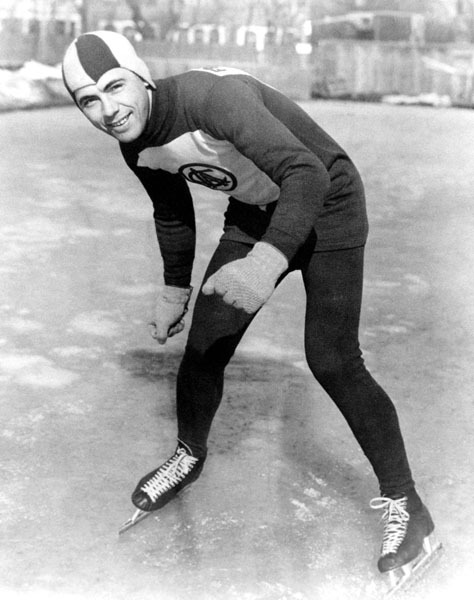 Speed skater Gordon Audley took bronze in the 500 m final and the Edmonton Mercurys won Canada’s fifth gold medal in ice hockey. The country would not win hockey gold again until 50 years later, when the women’s and men’s teams defeated the Americans at the 2002 Olympic Winter Games in Salt Lake City. 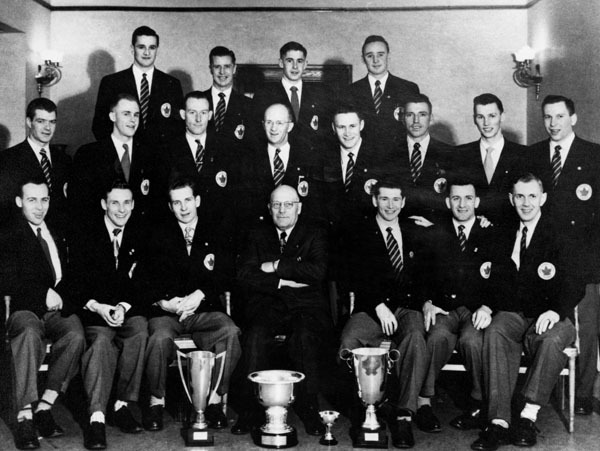 The Edmonton Mercurys won the gold medal in hockey at the Winter Olympic Games in Oslo on 24 Feb 1952. The final game was a 3-3 tie against the US. Canada's hockey teams did not win another until 2002, when both the men's and women's teams captured gold at Salt Lake (courtesy City of Edmonton Archives). The 1952 Olympic Winter Games were held in Norway, which is considered the birthplace of modern skiing. It was the first Winter Games to include a torch relay. The Olympic flame was ignited at Morgedal in the fireplace of the home of skier Sondre Norheim (1825–97), who is credited with the invention of the modern ski binding. The flame was relayed by 94 cross-country skiers to Oslo, where Eigil Nansen, grandson of the famous polar explorer Fridtjof Nansen, lit the Olympic cauldron. For the first time the Games were opened by a woman, Princess Ragnhild, because her grandfather, King Haakon VII, and her father, Crown Prince Olav, were away attending the funeral of King George VI in England. It was also the first Games to include a cross-country skiing event for women (a 10 km race) and the first to use computers to calculate scores in figure skating. 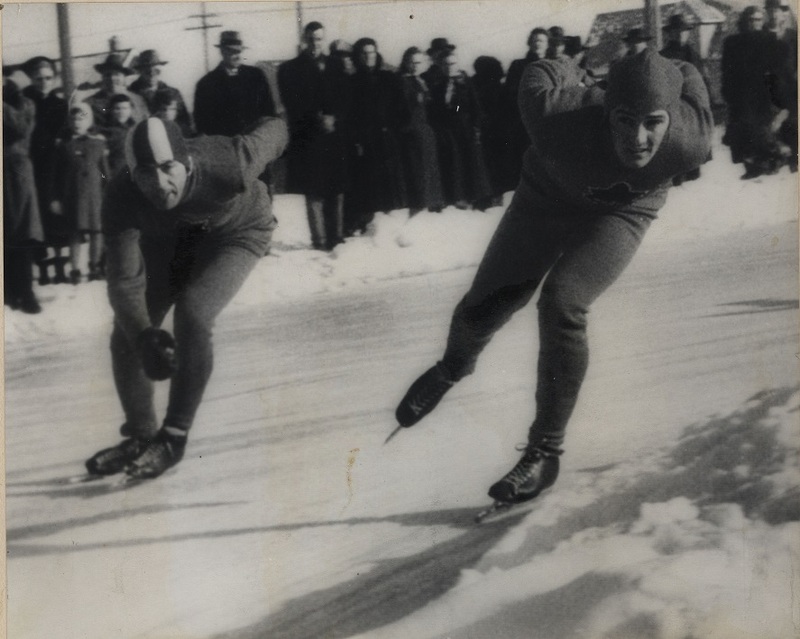 Olympic speed skaters Frank Stack (left) and Gordon Audley (right), date unknown. 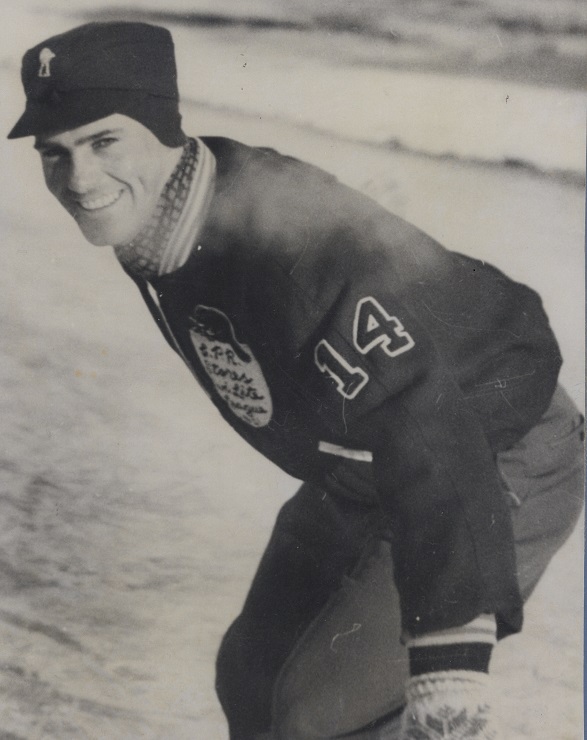 Stack represented Canada at the 1932, 1948 and 1952 Olympic Winter Games and won a bronze medal in the 10,000m race at the 1932 Games in Lake Placid. Audley competed at the 1948, 1952 and 1956 Games and won a bronze medal in the 500m at the 1952 Olympic Winter Games in Oslo. 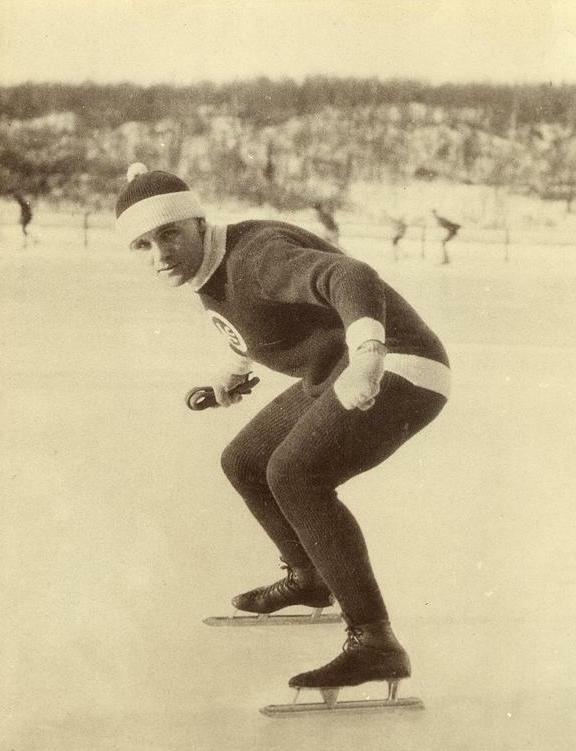 Speed skater Gordon Audley (date unknown). Audley won a bronze medal in the 500m at the 1952 Olympic Winter Games in Oslo. He also competed at the 1948 and 1956 Games. 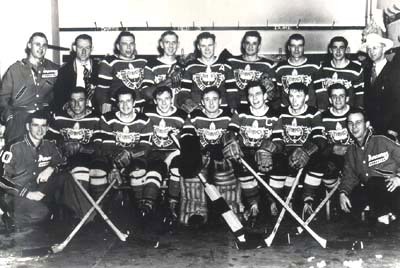 In hockey, Canada was represented by the Edmonton Mercurys, who had won the world ice hockey championship in 1950. 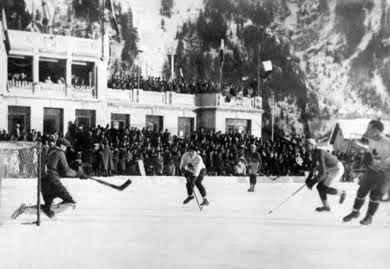 The Mercs won the first three games with a combined score of 39–4 but had a more difficult time against the Czechoslovakian (4–1) and Swedish (3–2) teams. Canada won all seven of its games before facing the United States. A 3–3 tie with the Americans (who had lost to Sweden) was good enough for gold. “Canada Again Tops In Olympic Hockey,” declared The Globe and Mail. “Canada successfully defended its Olympic hockey championship tonight [24 February], … [but it] was a close call for the Canadian hockey team.” Indeed, it was the end of the era of Canadian dominance in amateur hockey. The Canadians would not win hockey Olympic gold again for 50 years. Canada's hockey team, represented by the Edmonton Mercurys, celebrates its gold medal win at the 1952 Oslo winter Olympics. Canadian figure skaters placed well at the Games, although they did not win any medals. Peter Firstbrook finished fifth in men’s figure skating, as did the pairs team of Frances Dafoe and Norris Bowden. Suzanne Morrow placed sixth in the women’s competition. Joanne Hewson was Canada’s highest-placed skier, finishing eighth in the women’s downhill competition. No other Canadian athlete came close to the podium, but The Globe and Mail noted that the men’s ski jump champion, Norwegian Arnfinn Bergmann, worked as a mining engineer in Revelstoke, British Columbia (although his time in Canada seems to have been brief).